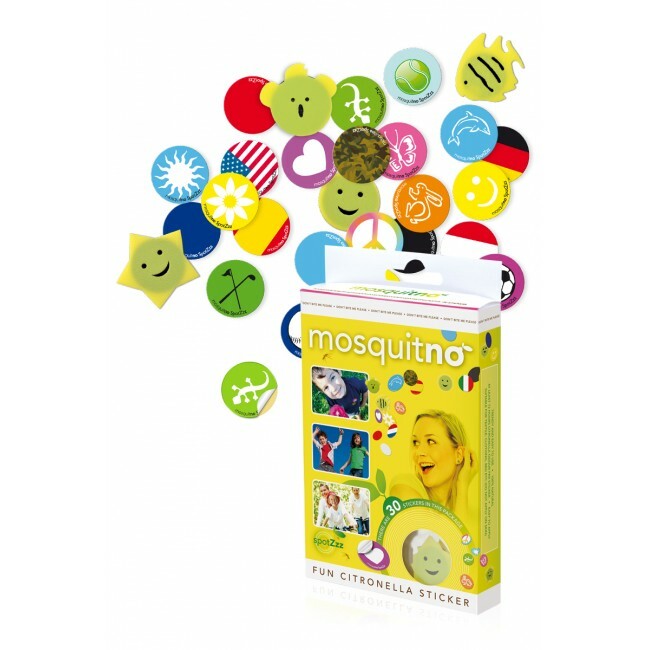 The SpotZzz sticker is a clever sticker, made from a special silicone rubber, which gradually releases a citronella fragrance. 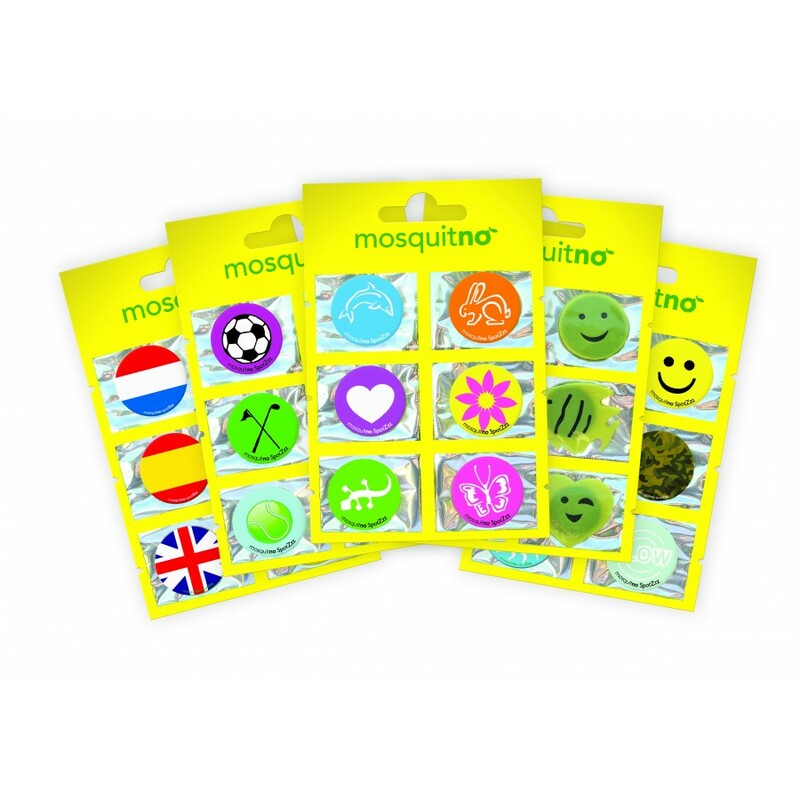 MosquitNo stickers are available in 30 different characters. 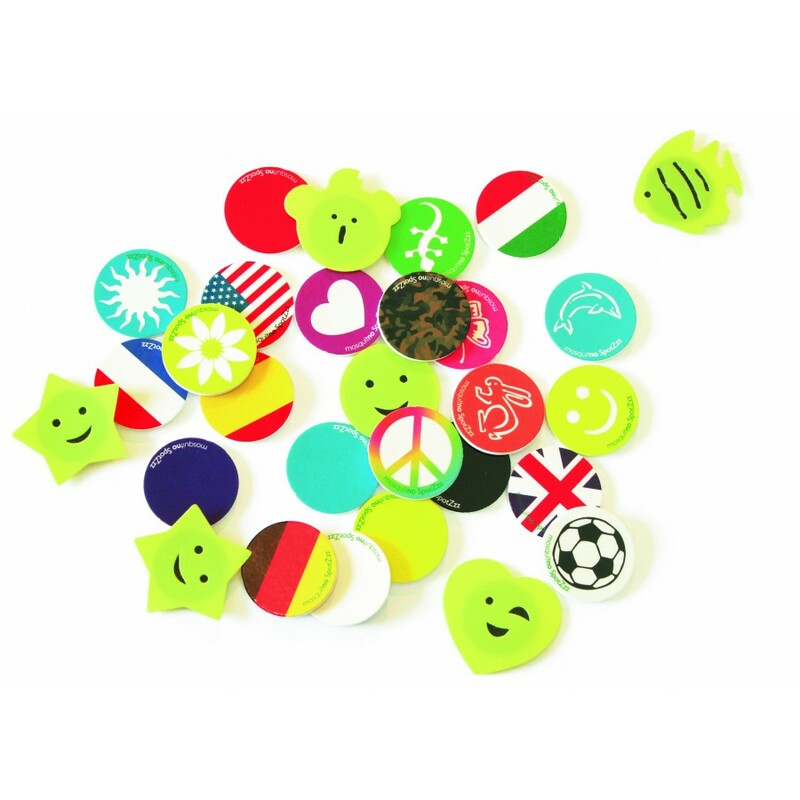 This box contains 30 stickers with fun animal characters, loved by kids. 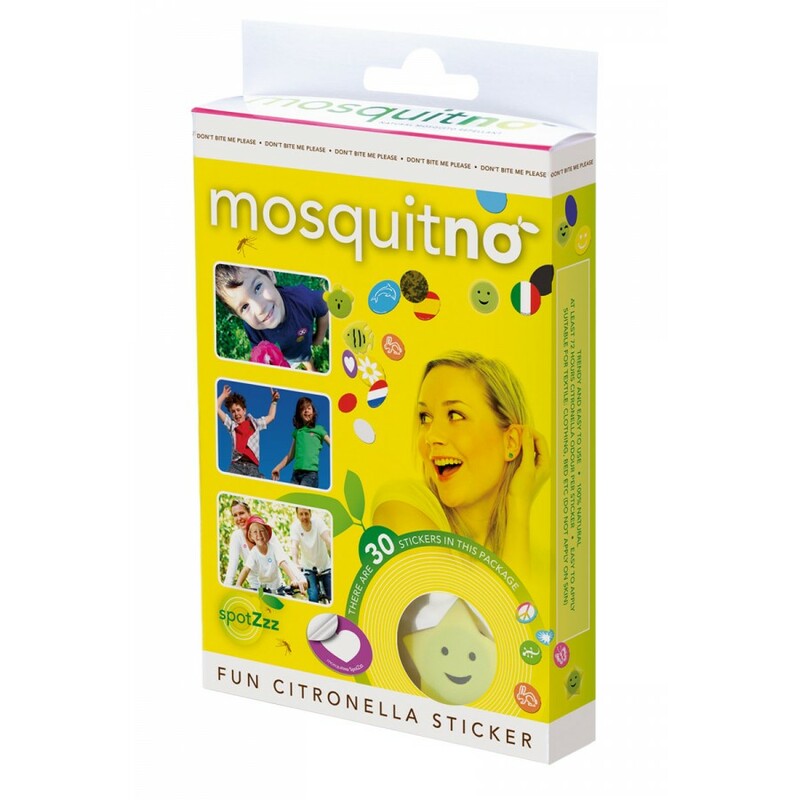 100% Natural Citronella Oil. Provides at least 72 hours citronella odor. Easy to apply on textile, bed, caravan, tent, etc. (Do not apply directly on skin). The 30-pack is available in 2 editions, this is the Mix edition.